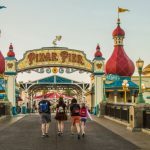 All things Pixar are celebrated in an even larger way at the Disneyland Resort since Pixar Pier debuted at Disney California Adventure Park on June 23, 2018. Beloved Pixar stories and characters come to life in this whimsical land that features the thrilling Incredicoaster, the new Jessie’s Critter Carousel and Pixar Pal-A-Round attractions, imaginative neighborhoods, Pixar-inspired food, the Lamplight Lounge, plus exciting entertainment and more. 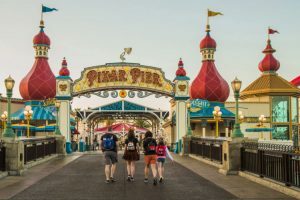 Guests experience the wonderful worlds of Pixar in incredible new ways on this seaside waterfront at the Disneyland Resort.